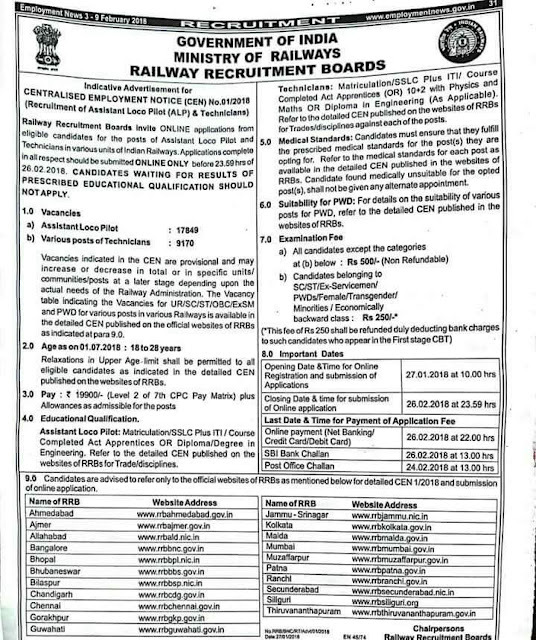 Railway RRB Recruitment 2018 For 27019 Assistant Loco Pilot & Technician Post. 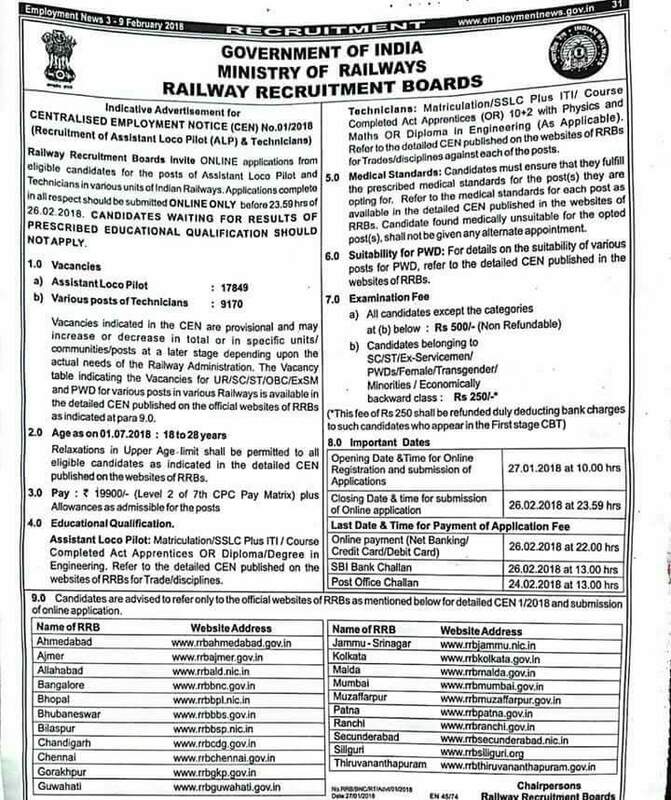 Railway Recruitment Board (RRB) Recruitment 2018 For Assistant Loco Pilot & Technician Post. No of Vacancy- 27019 Posts. Educational Qualification- Candidates Must Have 10th, 12th, ITI, Graduation From Recognized University/Board.